UPS uninterruptible power supply is an equipment to protect a device or systems with power supply back up from any problems caused by main power power failure. 160 kva industrial ups is also used to supply clean power for the systems. It means that an uninterruptible power supply arranges the voltage and frequency value of the main electric power. As Mak Plus Power Systems Germany family we serve uninterruptible power supply field as 160 kVA UPS USV 0,9 Power factor, 144 kW UPS. The solutions are designed and controlled with DSP in Germany with IGBT and transformerless using advanced high technology. If you do not use uninterruptible power supply solutions to protect your machines and datas, you can face with too many problems. It can cause damages on your machines and losing your data sor informations about your company. You can also arrange back up time to support your systems with choosing need battery solutions when the main power is lost. As Mak Plus Power Systems Germany, we supply battery solutions and battery cabinet as complete solution for your application as industrial power supply solution provider. Digital panel control is in located 160 kva three phase uninterruptible power supply UPS makes the operators usage is easier. SNMP system can make you control and check the 160 kva ups Germany machine is working or not from your computer or smart phones. MAK-UPS Series Germany three phase 160 kVA UPS are true online double conversion topology with high frequency power solution, the systems supported with bypass thyristor and manual bypass, manufactured with the high power technology, DSP Control, PWM and IGBT technology, producing DSP microprocessor controlled to create perfect output that pure sin wave output. The three phase 160 kVA UPS needs 60, 62 or 64 pieces of 12V AGM & GEL Batteries. 2 years of warranty provides you using the 160 kva ups lomg life term. Our 160 kVA UPS solutions are easy to use. Our expert engineers design the 160 kva three phase ups usv machines very carefully to give best solution for our costumers. Mini design of 160 kVA 128 kW 160 kW three phase uninterruptible power supply makes the maintenance and installation procedure easier. We offer international training also in your field. Mak Plus gives free of charge technical videos. We offer visual documents to inform you to your needs. We offer free of charge pdf documents for your webpage to start marketing easily. UPS-MAK Series Germany 160 kVA UPS three phase protects and supports systems such as advanced local networks, industries, hospitals, advanced local networks, communication systems, medical devices, data centers, measurement devices for engineering purposes. The three phase 160 kVA UPS Germany solutions that we give are highly efficient solutions designed in Germany according to European standards. 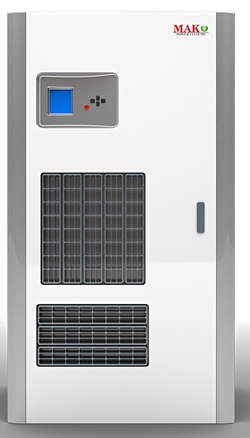 The 160 kVA / 144 kW UPS solutions are designed in Germany and manufactured in Europe from our expert engineers and technical team.